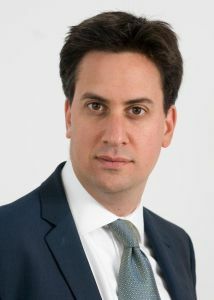 Below is the text of the speech made by Ed Miliband, the Leader of the Opposition, in Glasgow on 30th January 2012. And thank you Margaret and Anas for everything you’re doing. Let me start directly by talking about the developments on the issue of RBS bonuses. Stephen Hester has done the right thing. I welcome his decision not to take his bonus. But I am sorry we have a Prime Minister so out of touch with the British people that he did not act to stop it earlier. He failed to be a responsible shareholder. It took Labour’s threat of a parliamentary vote for the right thing to happen. Nobody will think the events of the last few days are a good way to set pay in our banks. But we can only avoid this kind of story repeating itself if there is a decisive shift in rules and behaviour. We need a proper debate now about executive pay and responsible capitalism. My challenge to the Government is to show they understand they got it wrong on RBS and can act differently in the future. First, the bonus merry go round looks set to continue for a while. They cannot stop bonuses in the private sector banks but they can introduce a bank bonus tax. This could raise £2 billion a year. Second, they must now act to change the rules on executive pay so that an ordinary employee sits on every single remuneration committee of every public company. If the executives cannot look the ordinary worker in the eye and justify the salaries being paid, then they shouldn’t be paying them. Third, we should change the rules on corporate governance so that bonuses are not for just doing your job but for exceptional performance. And introduce rules which say one salary, one bonus. These are three immediate steps the Government must take. But there is a challenge that goes beyond this Government. What the RBS issue has shown is the gap between the lives and behaviour of a few at the top and the deep commitment to fairness and responsibility among Britain’s working families. It is this gap which has led directly to today’s events. The gap between the squeezed middle and the very top. Successful economies depend on public consent. People are not against rewards for outstanding success or risk. But they want to live in a country where there is fairness when it comes to the fruits of success and fairness when it comes to the need for sacrifice. This isn’t happening and hasn’t been happening for a long time. So I’m not saying we got this right in Government. But if one good thing is to come out of the RBS fiasco, it must be this. As a country, we succeed or fail together. We are not isolated individuals. However affluent we are, whatever the world we inhabit, we owe responsibilities to each other. That is the country I stand for. That is the country I believe in. That is the country my Labour Party will fight for. But tackling this wider inequality, this injustice, this unfairness is the mission for politics. Today I want to make that case. The case for a fair, just and equal United Kingdom, with Scotland part of it. Not a case based on fear of separatism. But a case based on hope. Hope for a more equal, more just, more progressive future for Scotland and the United Kingdom. I come here with humility about the scale of challenge for Labour – nine months after we lost the Scottish elections. And I come here to stand shoulder to shoulder with you Johann, our new Leader of Scottish Labour. You have already shown you understand the scale of the challenge for our party, and that you have the determination to make the positive case for the United Kingdom. I have no doubt, even as we speak, that the SNP are getting ready to say how dare I, as someone born and living in England, come here and join this argument. And when they ask, what has it got to do with me, let me address this head-on. Not just as leader of the Labour Party, but on the basis of my personal history, as someone who has a deep reason to appreciate the strength of the United Kingdom. My parents came to our island as refugees from Nazi terror. My father joined the British Navy. He did his training aboard HMS Valorous, on the Firth of Forth. A Belgian, he fought Fascism with people from every part of the United Kingdom. As I was growing up, he didn’t talk to me about coming to England, then moving to Scotland. He talked about coming to Britain; the country that gave him and my mother shelter. He was proud of the country that had adopted him, proud of this country. My story is repeated a million times across the United Kingdom. My story shows that this country has been a refuge to many and a cause to fight for. And therefore, if the people of Scotland decide to separate, as they can, it would not affect Scotland alone. It will affect all of us in the four nations of this country. That is why I am here today. So as this campaign begins, we need to understand the stakes. Some people, including the First Minister, will tell you it is a battle between him and the Prime Minister, between the Government of Scotland and the Government of the United Kingdom. It is right that the people of Scotland decide the rules and timing of this referendum. But it must be the people of Scotland, not just Alex Salmond. It is right that the decision in this referendum is made in Scotland. But as Johann has said, it is right that it is based on one fair question and one clear answer. Every time you hear a Nationalist politician talk about the process of the referendum, it is because they want to avoid talking about the substance of separation. Today, I want to concentrate on the substance of the argument. About one part of the positive case for the United Kingdom. In the past, Labour has warned about the dangers of separatism and we will continue to point to the evidence. There are vital questions around the possible costs and benefits of a separate Scotland that deserve to be explored. But I support Scotland as part of the United Kingdom, not because I think Scotland is too poor or too weak to break away. Because I believe that Scotland as part of the United Kingdom is better for the working people of Scotland, and better for the working people of the United Kingdom as a whole. Let’s start by asking the question that Labour at its best has always asked about this country: what are the injustices facing working people and how do we overcome them? What is the most urgent priority for the people of Scotland? We are living through some of the toughest times in recent history. Unemployment at its highest in 18 years. Rising food and energy prices. We know in our heads and in our hearts that there are deep problems about the way our economy has been run. When I meet working families who have been struggling, year after year just to earn enough to get by and put food on the table, I know we need to change things. When I meet people who have the will to work but who keep getting turned down because they are up against hundreds of others, I know we need to change things. When I meet parents who worry profoundly about their sons or daughters’ prospects in this world, I know we need to change things. So when I look around, I see a country crying out for change. These are the problems facing people in every part of the United Kingdom — England, Scotland, Wales, and Northern Ireland. And so what is the most urgent task facing us today? Putting up a border across the A1 and M74? Or the task of creating a more equal, just and fair society? I say let’s confront the real divide in Britain. Not between Scotland and the rest of the United Kingdom. But between the haves and the have-nots. So I am not here to tell Scots that Scotland cannot survive outside the United Kingdom. I am here with the same call of Labour leaders down the ages, to say that we need to make the United Kingdom a fairer, more just place to live. And we can do that best, together. I believe it firstly because it is the lesson of history. Our story, as a party and as a country, is not what we achieved separately but what we achieved together. The story of the Scotsman, the Englishman, and the Welshman is not just the start of a good joke. It is the history of social justice in this country. An Englishman, Clement Attlee, who led the most successful Labour Government in history. And a Welshman, Nye Bevan, who pioneered that Government’s greatest legacy, our National Health Service. These are the achievements of our nations working together. Before we passed the Provision of School Meals Act together, children from Lands End to John O’ Groats would go hungry just because their family was poor. Before we built the NHS together, if you fell ill, you would only be treated if you could pay for it. Before we passed the Equal Pay Act together, a woman could do exactly the same job as the man sitting next to her and still only be paid half his salary. And before we established the minimum wage together, someone could work every day until their muscles ached and still be paid less than £1 an hour. These progressive achievements do not belong to one nation of the United Kingdom. They are British achievements. Our history is that we have made this country fairer, together. And the challenges of today demand that we once again respond together. We live in the shadow of the banking crisis. The young person joining a dole queue behind a million others. The small business which wants to grow but can’t get a loan. And the father who lies awake at night worrying about how to pay the bills. That is the real priority for all of us who want to make this country fairer. That is what I mean when I say that we need to build a more responsible capitalism. That is the true project for social justice in our United Kingdom. It is a big challenge, and one I believe we can only overcome together. Not only because together we are stronger; sharing the risks and rewards in an uncertain world. But because we are not separate economies, Scotland and the United Kingdom. The banks serving Glasgow are the same as the ones serving Gloucester. The shops on your high street are the same as the shops on my high street. And decisions made by British companies like BAE will affect their employees in Govan as much as their employees in Barrow. We can make our economy work for the majority. We can make capitalism more responsible. We can only do it together. We must reform our financial services; its rules, its culture, its institutions. But if we change the rules separately, banks would move wherever the rules were weakest. We need stronger rules together, not weaker rules apart. We can change our economy so that there are more and better jobs by encouraging businesses to think long-term, in years not quarters. Because our economies are as connected as they are: more people in Scotland are employed by large companies based in the rest of the UK than in Scotland. So reform in one country and not in another would simply mean companies moving a few miles north or south to where rules are easiest for them. Rather than advancing fairness together, the risk is a race to the bottom on bank regulation, on wages, and conditions at work. We can achieve more progress together. Take another great progressive challenge of our time, climate change. Every nation is now making efforts to tackle this but separation creates the danger that we compete on where companies should go to be able to produce more carbon. We should tackle climate change together. That’s why I say that the best way to make this country fairer is to do it together, as one country. Mr Salmond, you can’t build fairness in Scotland by giving up on fairness in the United Kingdom. And I don’t believe either, that people in Scotland want to give up on fairness in the rest of the United Kingdom. For the basic reason that we care about each other. Alex Salmond claims to want to set a progressive example. Let me tell him, there is nothing progressive about a brand of politics which is based on dividing people with the same needs, living on this same small island. There is nothing progressive about a vision which says a pensioner in Liverpool is no concern of his, a child growing up in poverty in East London is no concern of his, a disabled person in the Midlands is no concern of his. That isn’t a progressive vision. That is shutting the door on the problems of your fellow citizens. Because Britain is united in its diversity. By shared values and common interests. Not an island divided by borders on the basis of nationalities or nationalisms. But one brought together with the strength drawn from multiple identities. Bound together by common ties. Nearly half of all Scots have English relatives. When a Scotsman who works in the shipyards of Govan meets an Englishman who works on the docks in Merseyside, he doesn’t see a foreigner, he sees a fellow countryman. The pensioner from Aberdeen or Ayr has more in common with the pensioner in Bristol or Bolton than with a pensioner in France or Belgium. When the Olympics are on next year, nobody in the pubs in Newcastle will cheer any less loudly for Chris Hoy, wearing the Union flag, just because he was born in Edinburgh. Because over hundreds of years, we have written a story of four nations forging a country together. Of defending that country against fascism. And of fighting to make it fairer for working people. That fight, together, is what we need now more than ever. So Alex Salmond wants to tell you a very particular story. In this story, England is conservative, while Scotland is a progressive beacon. Shown by the campaign down the years for the right to work. And the opposition to the poll tax. But my case is that these ideals for Scotland can best be realised in the United Kingdom. And that the progressive ideals of the people of Scotland are more ambitious than Alex Salmond would claim. I passionately believe people do want to be part of better – a better United Kingdom. So let’s reform our banks together. Let’s build a sustainable country together. Let’s pass on the right opportunities for the next generation together. I stand here today as a challenger against a Government in Westminster which is wrong on the economy, and has no vision for the United Kingdom. And as a challenger against a Government in Holyrood with a plan for separation which will not help the working people of Scotland. A challenger, determined to fight to make this whole country fairer. Because I am proud of what our nations have achieved together. And because I know that our best, our fairest, our most just days lie ahead of us, together.